On her way from Norfolk to Galveston the new submarine Texas stopped at Cape Canaveral, Florida to flex her muscles for the media. 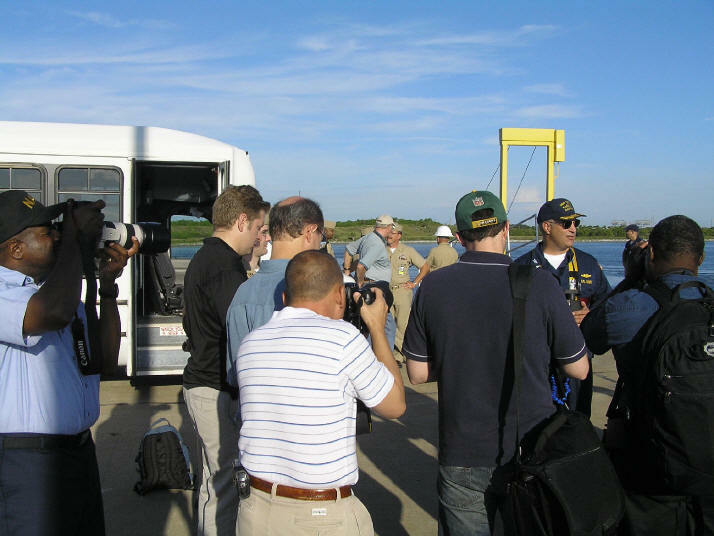 As she departed the pier for a three-hour transit to deep water, the crew guided reporters through the different sections, displaying a thorough understanding of their ship, her capabilities, and their responsibilities. 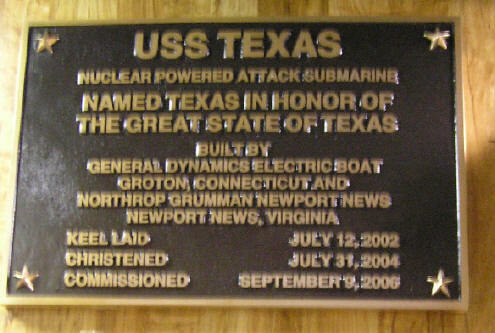 Built by Newport News in partnership with Electric Boat Company, Texas is the second of the new Virginia class of fast attack subs. A host of technical innovations unlike anything on submarines before her make Texas unique. The sub is powered by an advanced nuclear reactor that will not need refueling over the ship’s 33-year life cycle. 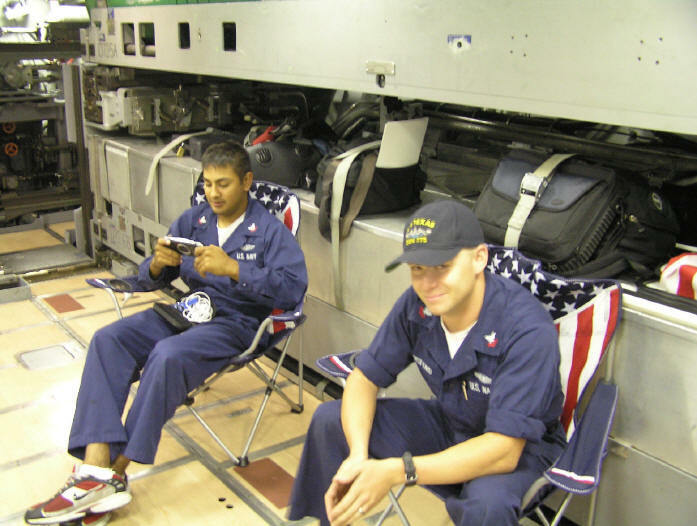 A pilot and co-pilot, who manage the sub’s steering and diving control with joysticks, replace the familiar helmsman and planesman stations with their aircraft-like yokes. The "sonar gang" has been integrated into a control room festooned with over 40 monitors. 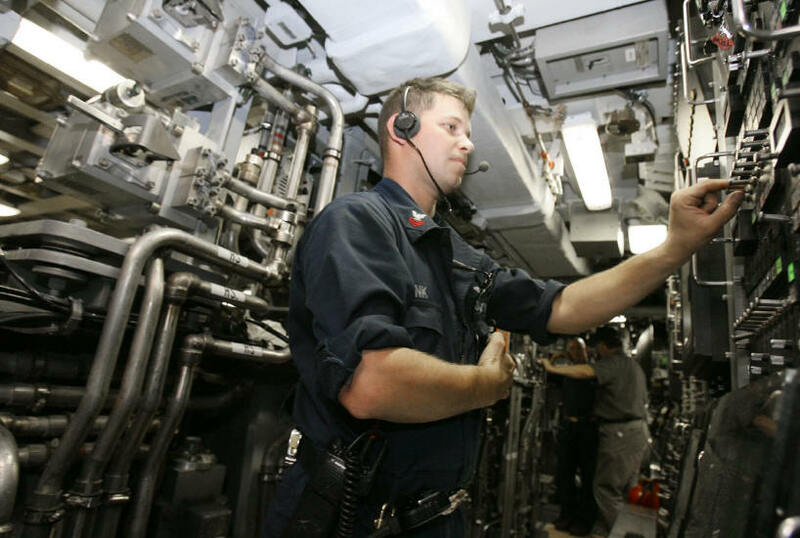 Listening through the sonar operator’s headphones one can hear the clear sound of a diesel engine. So clear, in fact, that it seems to be right outside the hull instead of several miles away. 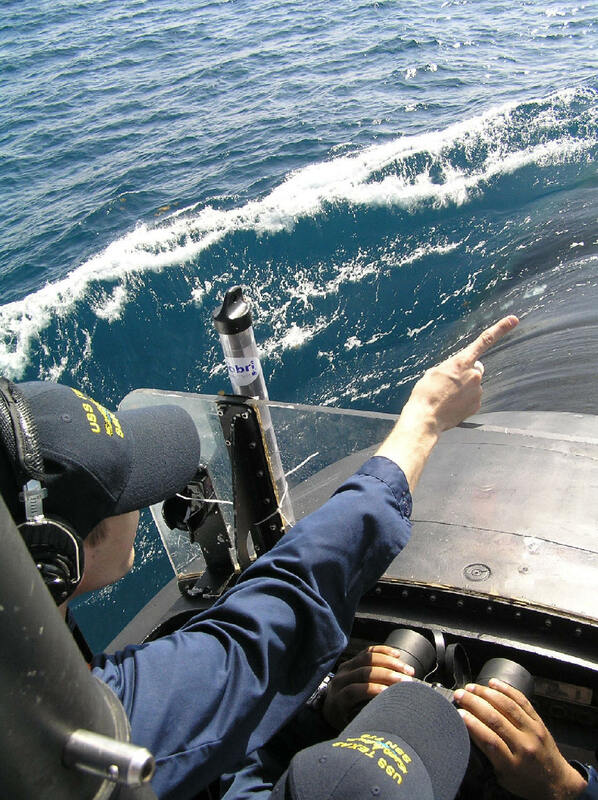 "In many cases our operators can tell what kind of diesel it is, what make, how many cylinders, and if it needs a ring job," says the sonar supervisor with a bit of humor. And most remarkably—there are no periscopes in the control room. 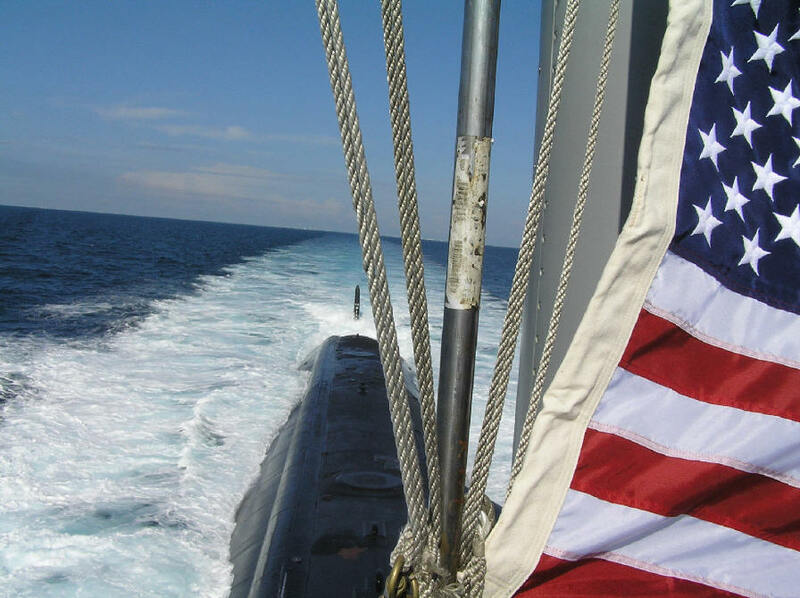 The polished poles that have been a staple in submarine movies have been replaced with sail-mounted photonic masts that do not protrude into the sub’s pressure hull. The cameras beam a high-resolution image onto a 30-inch monitor. The age-old command "Up periscope" may be replaced by "Raise the photonic mast". "After twenty years of looping my arm around the periscope handles, I have to make an adjustment. 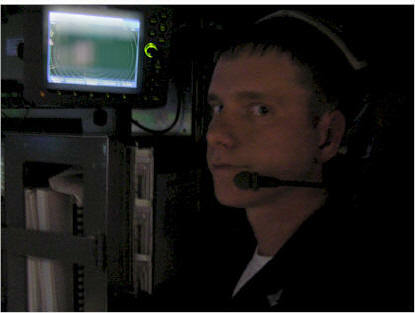 This control room is more advanced and allows more efficient tactical communication. All that’s missing is a captain’s chair out of Star Trek," remarked Captain John Litherland. 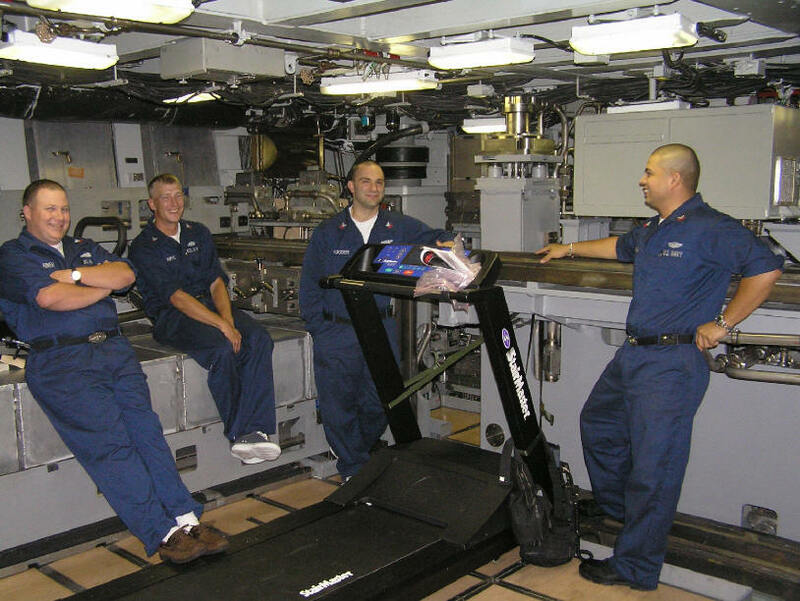 All this advanced technology requires the brightest and most motivated sailors the Navy can provide. 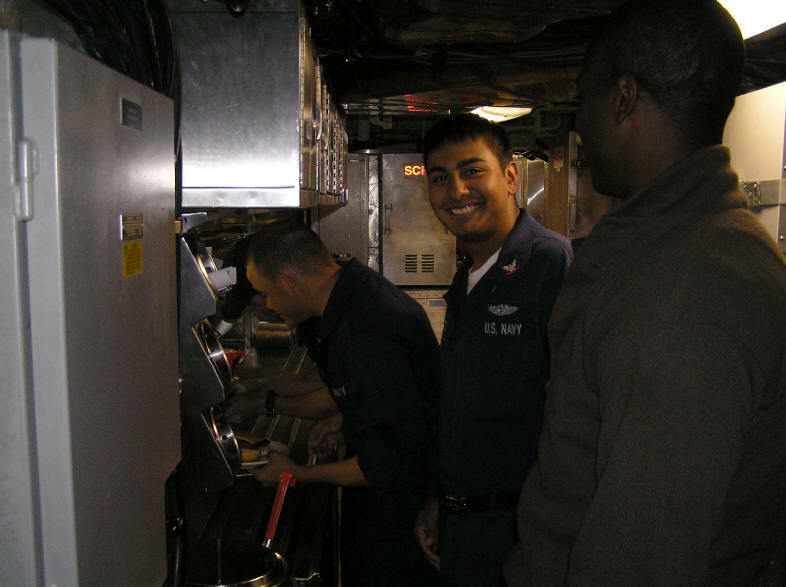 "I have over 300 "clients" to look after," explains Petty Officer Michael "Ping Jockey" Granito, an IT technician who has been aboard Texas since November 2002. "All the sub’s laptops, desktops, monitors, and around eleven non-tactical servers. Each sonar console has its own server." He deftly touches a screen to illustrate how individual servers are connected within the sub. The level of complexity is staggering yet "we’ve logged 98% uptime," says Granito. 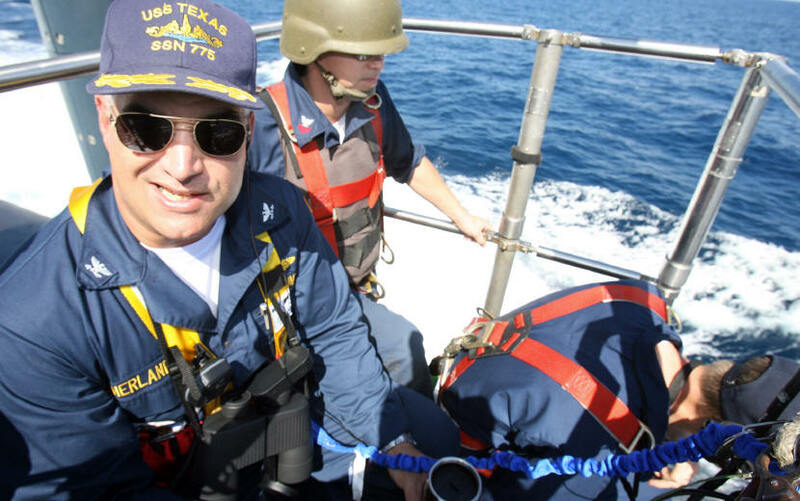 With top-shelf equipment and a crew of aces, Texas stands ready to begin tough assignments. The Virginia class has been engineered to match the Seawolf class in stealth and open-ocean warfare but that’s yesterday’s war. The new mission in the war against terror is to fight and gather intelligence in "brown water" (shallow coastal waters in hostile regions). Capt. Litherland says, "The control surfaces and the position of the sail help the hydrodynamics, and the hovering system" gives Texas superb close-in capability. This also augments another Texas strength—deploying Special Forces. 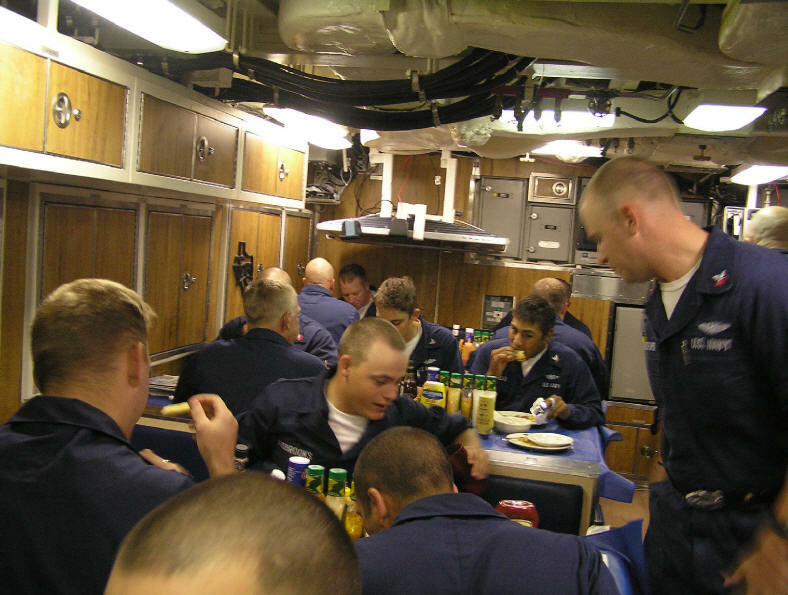 Some aspects of life aboard submarines have not changed. 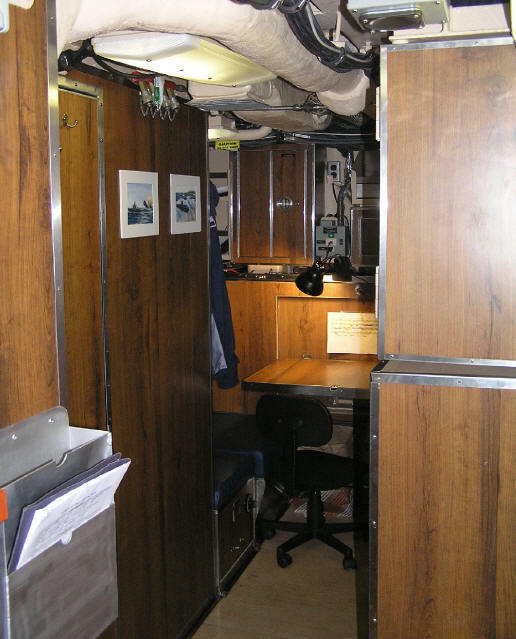 The living space is confined, forcing sailors to squeeze by each other in passageways. There are four restroom facilities and a single washer and dryer for 135 men. When the sub reaches deep water, the bridge is secured and the sub is made ready to submerge. The familiar dive alarm sounds throughout the ship. The pilot eases the 7800-ton vessel below the waves. Soon the surrounding sea pictured on the monitor is obscured by bubbles and foam as the scope dips under the water. The gentle rocking motion disappears, replaced by a silent, steady sensation. Being on a sub underwater is much like sitting in an office building. That’s about to change. 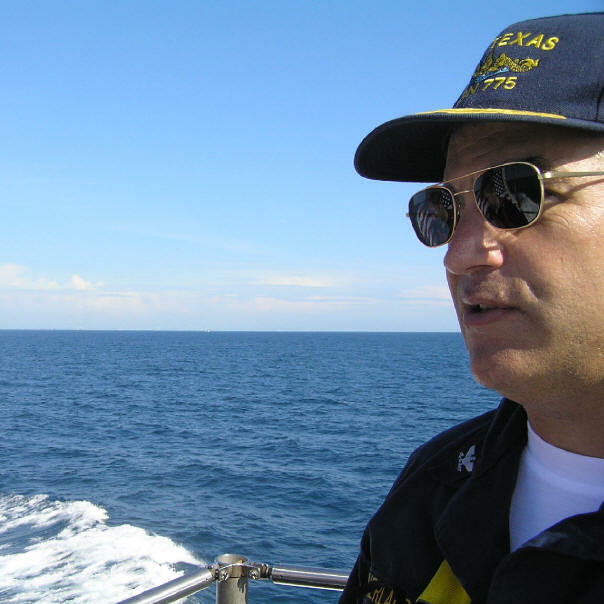 After careful scrutiny of the surrounding waters, the crew of the Texas performs a series of maneuvers known as "angles and dangles". Beginning at 150 feet, the pilot pushes his joystick forward and the sub noses down to 650-feet at a steep 25-degree angle. 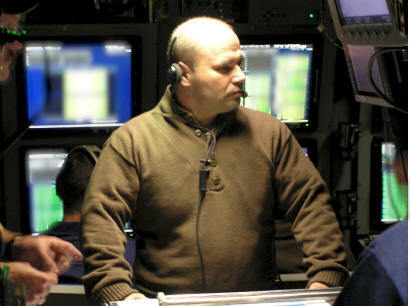 The undersea warriors in the control room lean away from the slanting deck, still performing their tasks without interruption. The overhead speaker announces a simulated torpedo launch. In the torpedo room, Petty Officer Monk carefully coordinates the process with the fire control operator Perry in the control room. 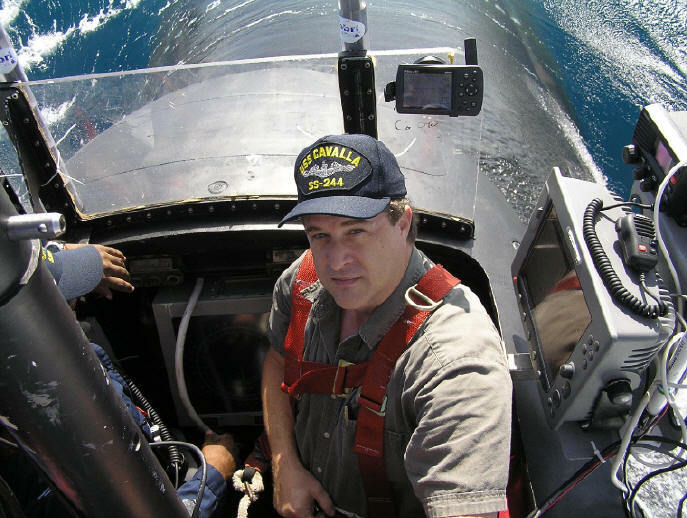 Texas and other modern US subs use wire-guided torpedoes. 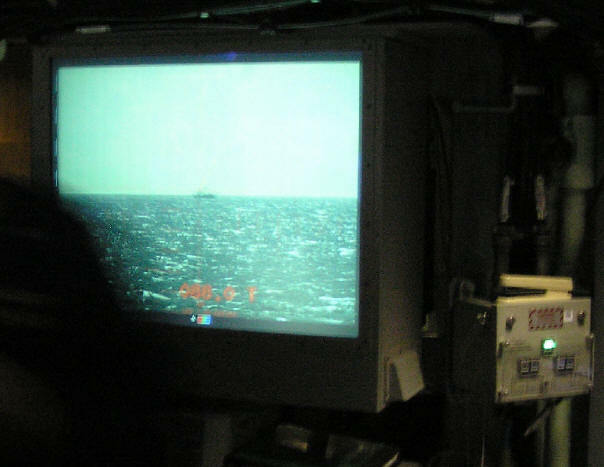 "The torpedo will go out there and acquire the target and when it does, it tells us where the contact is," explains Cdr. Jim Gray. "That’s where the wire comes into play." Cdr. Gray is at ease explaining the intricacies of the fire control systems, with good reason. Cdr. 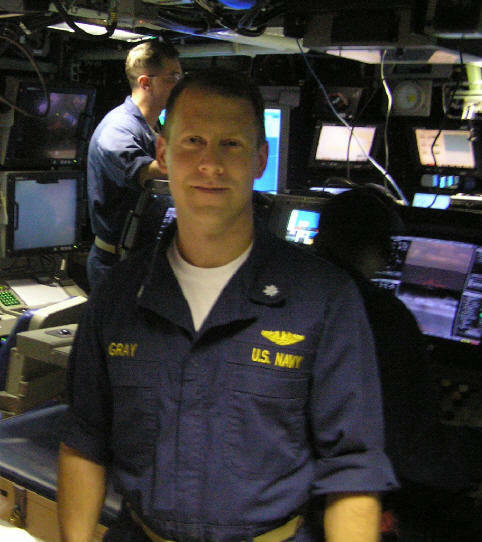 Gray is slated to be the next skipper of the Texas, taking over command September 20. 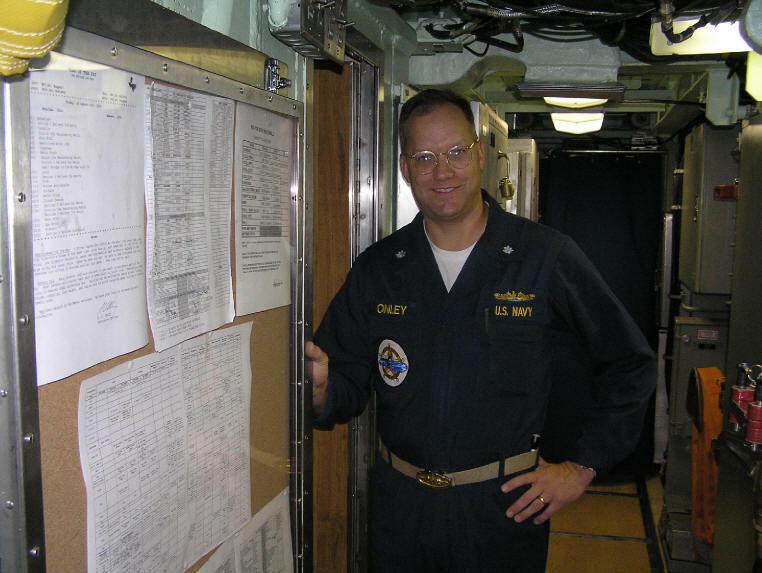 Of the 135-man crew abroad Texas, 20 are Texans, including Al Onley, the Executive Officer. "Texas is pretty big, I’m from Greenville so it’s a long haul for my family to attend the commissioning, but I don’t think anything could keep them away." Al Onley’s family will have a lot of company. The September 9 commissioning ceremony is expected to draw over 10,000 guests and visitors to Galveston, including ship sponsor Laura Bush, Senators Kay Bailey Hutchison and John Cornyn. Together they will witness an historic event, the commissioning of the most powerful ship to bear the name Texas. "The longest I've been underwater is 55 days." Master Chief Larry Batten points out part of the environmental systems. 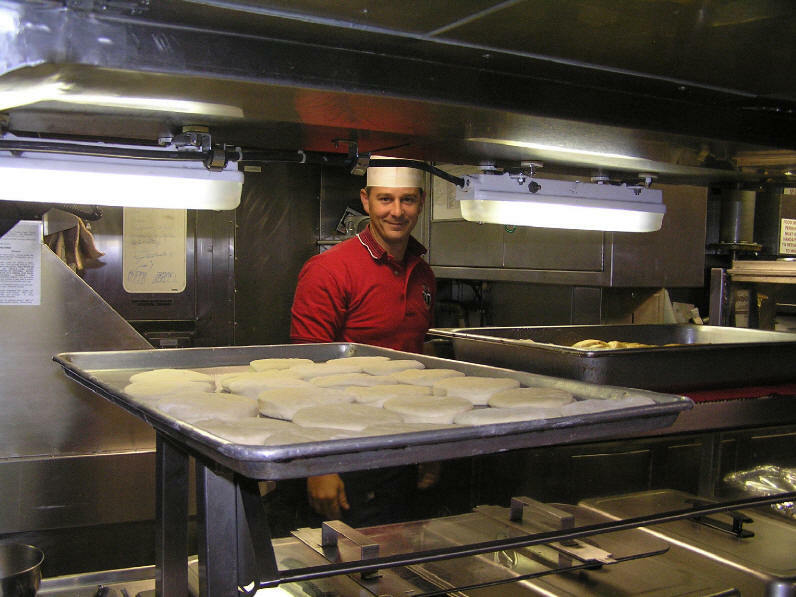 Behind him are tightly rolled smoke curtains, used to seal off parts of the ship in case of fire. 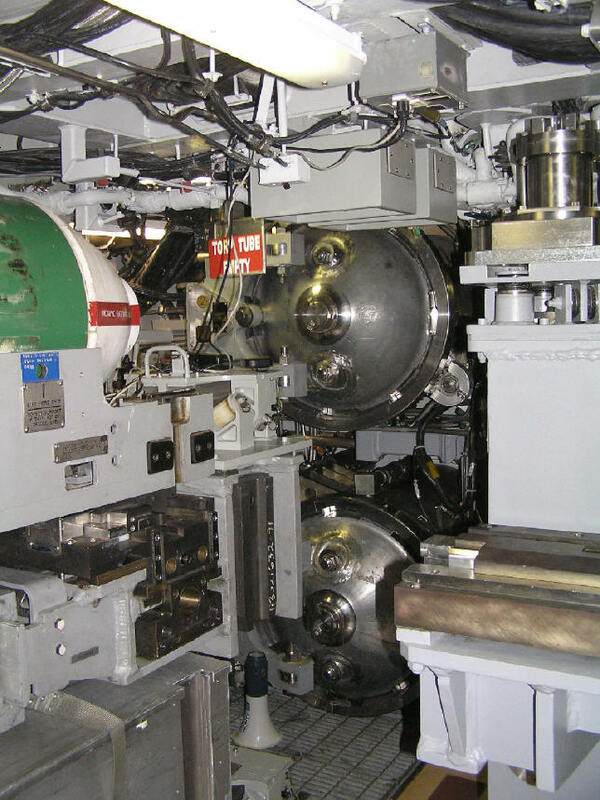 Texas' torpedo room has one lonely Tomahawk "handling shape"; used to align the racks with the tubes. Capt. Litherland greets the media. 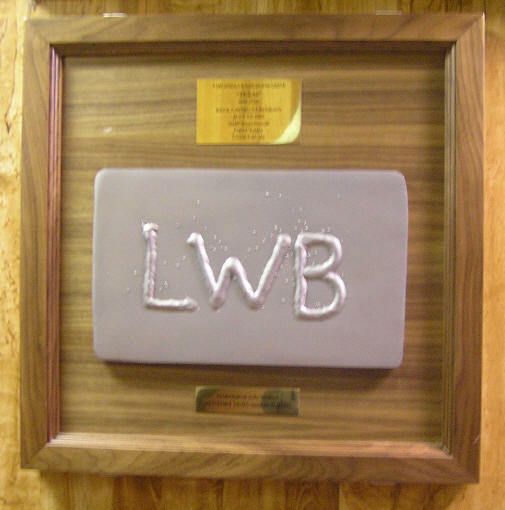 Texas plaque and First Lady Laura Bush's initial welded on the keel. "The Captain wanted it moved to the wardroom." 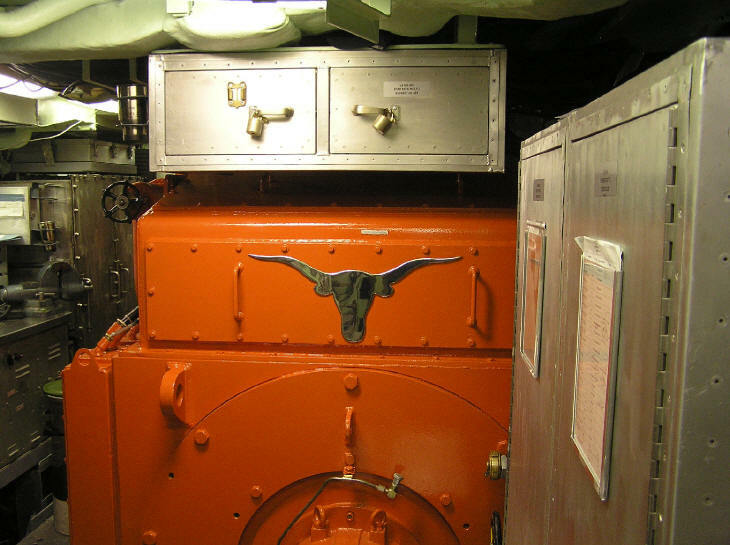 Longhorn emblem on the diesel engine. The source of good smells on a submarine. Lining up for chow. This man is smiling, it must be good stuff. Getting some leisure time in. Spare room courtesy of not having any weapons onboard. The COB Mark Brooks (seated) dispensing Liberty passes. 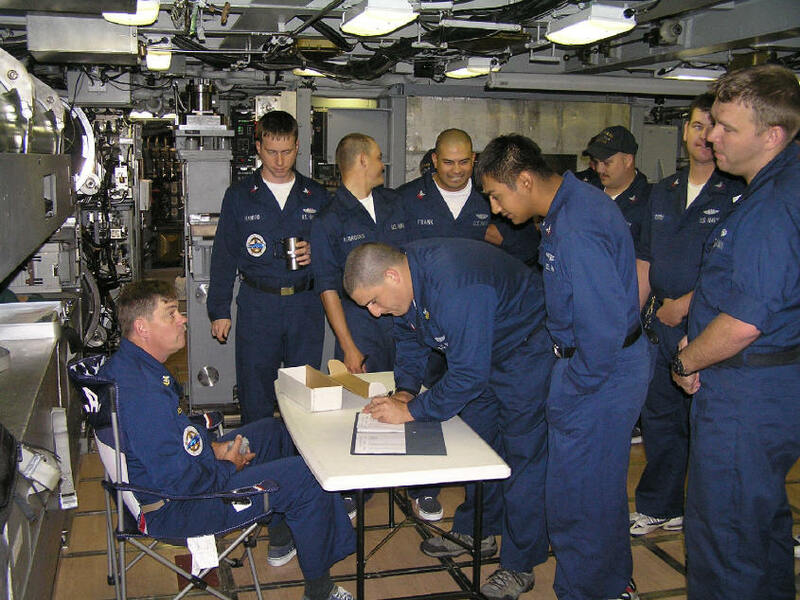 Petty Officer Monk coordinates a firing sequence. "Don't mess with Texas". Thanks to the fine crew and officers of the PCU Texas for the informative trip. Discuss USS TEXAS in the Subsim Radio Room! "Subsim" is a registered trademark. All rights reserved.